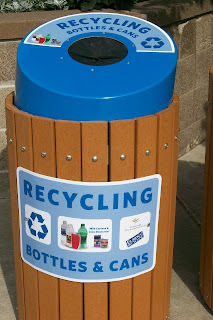 New recycling containers have been delievered to Como Park Zoo and Conservatory. Eureka Recycling has set up a new program at the Zoo and Conservatory. Plastic, glass, aluminum cans along with milk cartons and juice boxes can be recycled in these new containers. Also learn about recycling at the new Sparky show.